As part of our commitment to keeping our community safer, Dryer Vent Wizard of the Golden Triangle shares industry knowledge with Guelph, ON residents. Learn about dryer vent safety, warning signs, and news here! We've Been Presented with the 'Best of 2017 Homestars' Award! Thank You! Thank you to all my clients for taking the time to write a HomeStars review during 2016. Thanks for the feedback, the comments and your ongoing business. It's because of you, I humbly accepted the "Best of 2017 HomeStars" award for South Western Ontario!! If Your Dryer is Not Working, You Don’t Need to Have It Repaired, You Need a Wizard! Many people misread the signs of dryer vent issues as larger mechanical problems with the appliance. If your dryer is not working properly it’s more likely that you need a Dryer Vent Wizard than an appliance repair mechanic. GUELPH – Clogged or improperly installed dryer vents can reduce the efficiency of your machine. They can drive up your electrical bills, and, according to the Ontario Office of the Fire Marshal and Emergency Management, they are a leading cause of house fires. 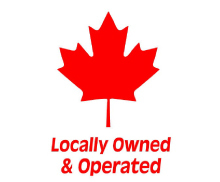 Following a family legacy of entrepreneurs, Patrick Stradiotto, a lifelong resident of Guelph, has opened Dryer Vent Wizard (DVW) to serve the Golden Triangle area, including Acton, Arthur, Cambridge, Elora, Fergus, Georgetown, Guelph, Orangeville, and Kitchener-Waterloo.